When making Christmas cookies, I like to have a variety of shapes, textures and flavors packed into the tins and trays for the most impressive visual appeal. The cookies must also have enough flavor punch to appeal to the recipient’s taste buds. These Chocolate Thumbprints with Peppermint Kisses bring a huge visual punch to the party as well as tasting fantastic. 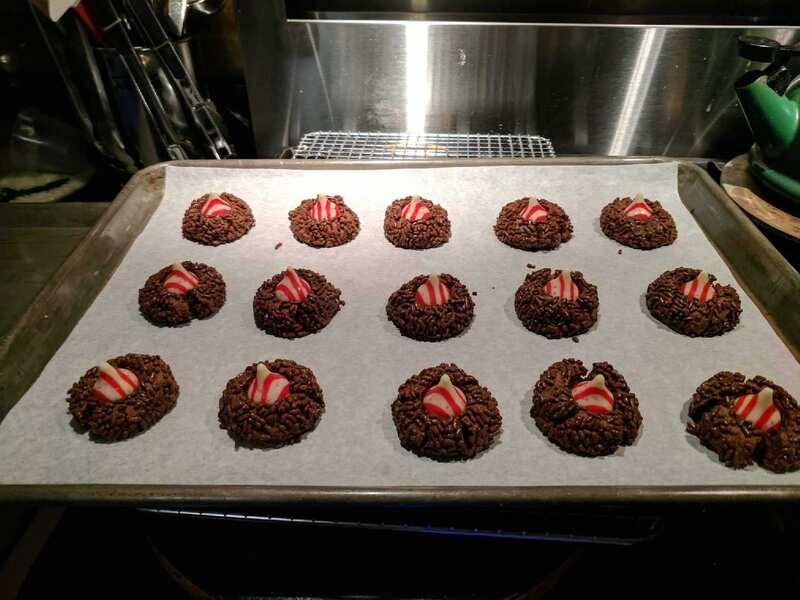 They look beautiful, the colorful peppermint kisses really brighten a cookie tray and the chocolate dough and chocolate jimmies give the kisses the perfect backdrop of darkness to make the red and white stripes pop. Best of all, they taste as good as they look. Try making these but just beware; the recipe makes less than 3 dozen, you may need to triple this one. 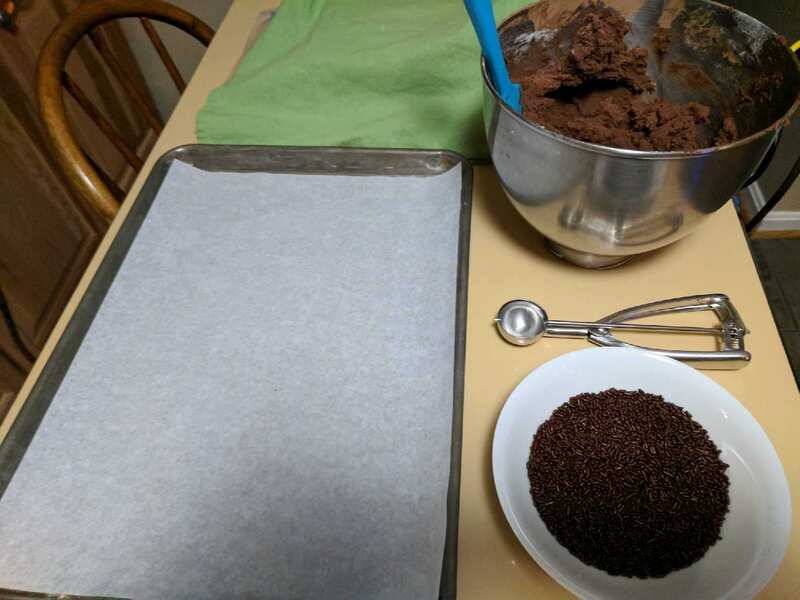 Whisk together cocoa powder and flour; set aside. 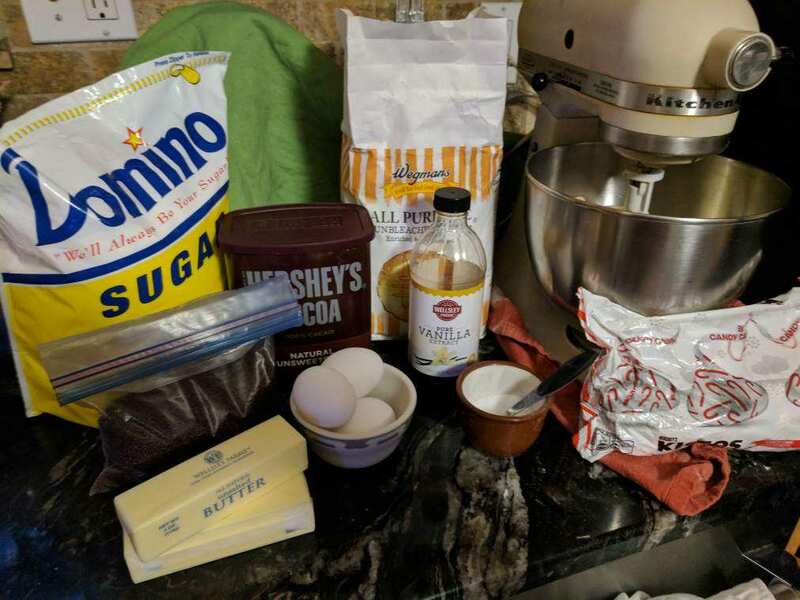 Using a mixer, cream butter and sugar about 2 – 3 minutes. Add egg yolks and vanilla beating to incorporate. Slowly add cocoa powder and flour mixture, beating only to combine. 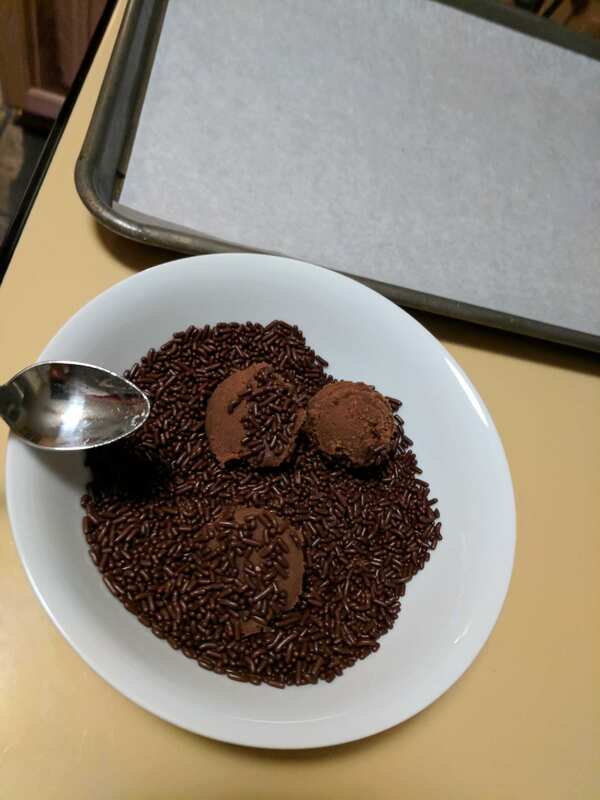 Roll into 1″ balls and then roll in chocolate jimmies. 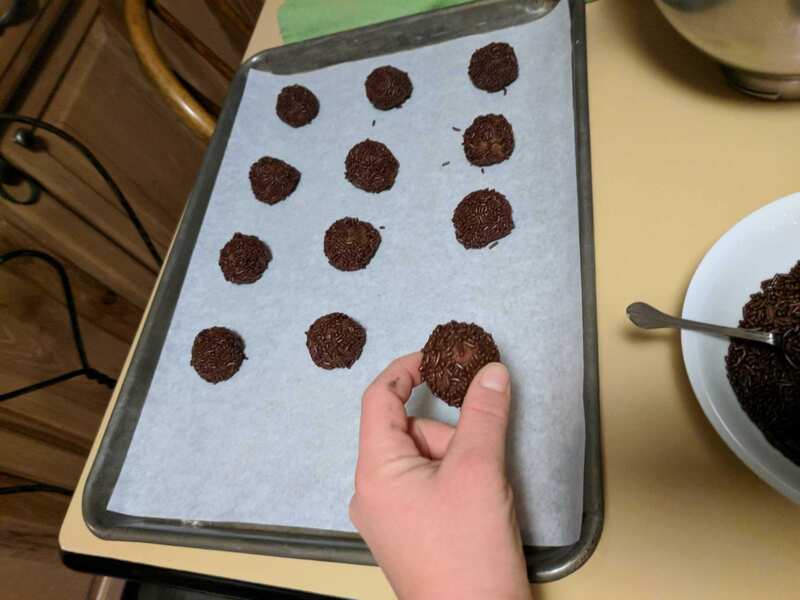 Place cookies on prepared baking sheets about 2 inches apart. Press down gently on the center of cookie to make a slight indent. Bake at 350F about 8-10 minutes or until done. 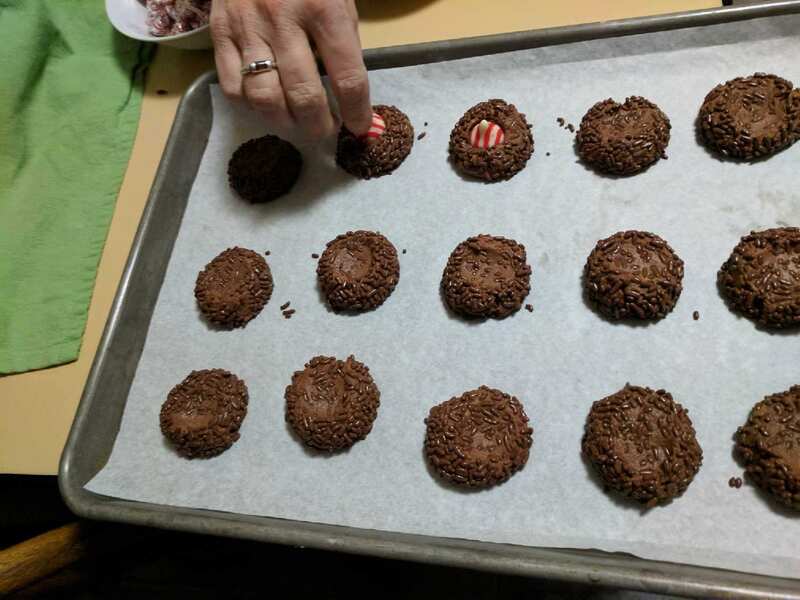 Remove trays from oven and immediately add peppermint kisses pushing gently into center of cookie. Cool on trays for 10 minutes then remove to wire rack to cool completely. Kisses will firm up when completely cooled but be forewarned, they can stay soft for over an hour. NOTE: for a total chocolate experience, use Hershey dark chocolate kisses…..chocolate nirvana!